Would you ever believe that an author with over 30 years of experience and 175 books under their belt would have ever worked for the circus? Well Gary Paulsen has worked many odd jobs such as circus entertainer and herding cattle before he picked up the trade of writing. During Gary’s childhood he saw very little of his father, who served in the military during World War II, nor his mother, who worked in the Chicago Ammunition factory. They spent a lot of time overseas when Gary was very young and after a three year stint in the Philippines where his father was stationed they moved back to the United States. Gary never stayed in the same school for more then five months, “I was an ‘Army brat,’ and it was a miserable life,” Gary said. 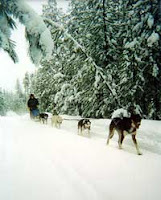 During several summers he was sent to live with relatives working jobs such as newspaper delivery to support him-self. Many of his novels have this common theme of a young teen spending their summer away from home. Arguments at home and his father’s drinking forced Gary to run away from home at the age of 15. No matter how hard his childhood was, Gary still can point to the situation that changed his current path. He was walking past the public library when he decided to step inside to warm him-self. The librarian offered a library card which he gladly accepted, and began roaring through the books she suggested, mostly science fiction and westerns. “When she handed me that card, she handed me the world,” Gary recounts. Another life changing event occurred when he decided to take on the life of his father. Gary enlisted in the Army in 1959 and ended his service in 1962. After his service in the Army, Gary worked jobs around the country. One of his last jobs was as a magazine editor in California. This is where he first learned the trade of writing, working on his own work during his free time. He quit that job, moved to Minnesota where he was born, and shortly after published his first novel. Mr. Paulsen's best known work, one that I remember reading when I was in school, is Hatchet. Hatchet, along with Dogsong and The Winter Room, have all been named Newbery Honor Books. His newest book, Lawn Boy, is about a young boy who gets an old lawnmower from his Grandmother and starts to mow lawns during one summer break. Through twists and turns along the way, one young boy transforms a single lawnmower into a lawn care company. 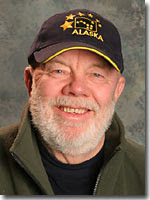 Gary Paulsen is not only an award winning author but has competed in the Iditarod in 1983 and 1985. His best finish was his first race in 1983 in which he finished in 41st, and is looking to compete again in 2008. With all of these adventures it is no surprise that many of his books have an outdoor setting. He often uses the coming of age story in his writing, where a teen masters the art of survival in isolation as a rite of passage. These teenage characters arrive at an understanding of themselves and their world through experiences in nature. Through an interview Gary Paulsen was asked to describe his motivation, he said, "There is no motivation, it’s just what I do. It's my nature. The stories are like a river that’s going by all the time, and I just 'bucket in' and up comes a story. It's a cliche, but it’s like that." Paulsen continues to write because he has a basic belief in young people and that he believes that his writing will help encourage people to care about the world around them. Gary once said, "I know if there is any hope at all for the human race, it has to come from young people." His own experiences when he was young, traveling the country and running away from home instilled in Gary a sense of adventure, which is evident in his works. Never intending to be one of those make it up as you go writers, Gary has lived many of the tales that are told through his novels. Success has not spoiled him though. He has won several awards including ALA Best Book, Parents Choice Award and the Newberry Honor Book. His most recent book, Lawn Boy, published earlier this year is even up for three awards in 2008. Gary never sought out to write 100 books and win awards. Instead he has chosen to write about the precious human struggle to survive, drawing upon his own life for examples. To better understand a little more about how Gary became a writer and how that one librarian changed his life, watch the video below.